The trio formerly known The Bad Flowers makes its first musical statement with the release of I Lose My Mind under their new name Wolf Jaw. It is a single of under three minutes that punches a punch. Tom Leighton told Bluesdoodles that “ there is no title on the album as of yet, we are still working on getting the right songs sorted. We wanted to release something under the Wolf Jaw name as soon as possible so we wrote this”. The sound is still everything we love about The Bad Flowers, Tom’s vocals are a power driver over the rhythm section of Karl and Dale that delivers a sound so much bigger than a trio. The Wolf Jaw sound is grungier, melodically heavier with a clear sense of direction as Tom sings the lyrics about losing your mind. The drums are a statement of driven intent, the bass lines deeper and the guitar is dirtier. The sounds are more complex with the melodic sonic reflecting the madness we often feel as our heart does not listen to our head. The song may be about internal craziness BUT the sound Wolf Jaw is delivering is modern and has stage appeal. It is a tempting morsel to keep us amused and entertained until the main course arrives the Wolf Jaw debut album. Then the delicious dessert of hearing the band play the song live with a grungy dirty energy. Conclusion, the band’s name may have changed, the quality has remained very high with its dirty interpretation of rock and roll. 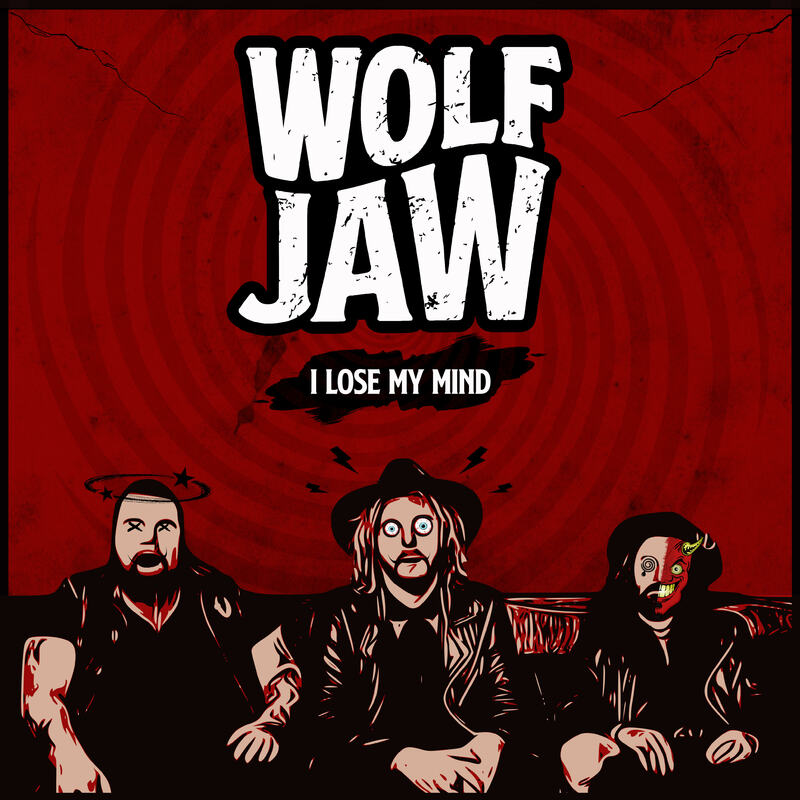 Their mind has not been lost a new sound has been found on I Lose My Mind from Wolf Jaw.